PERRYSBURG, Ohio (November 17, 2014) -- Owens-Illinois, Inc. (NYSE: OI) ("OI Inc.") announced today that Owens-Brockway Glass Container Inc. ("OBGC"), an indirect wholly owned subsidiary of OI Inc., intends to offer, subject to market and other conditions, a total of $700 million aggregate principal amount of senior notes due 2022 and senior notes due 2025 in a private offering to eligible purchasers under Rule 144A and Regulation S of the Securities Act of 1933, as amended (the "Securities Act"). 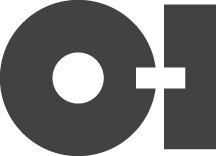 OBGC's obligations under the senior notes will be guaranteed on a joint and several basis by Owens-Illinois Group, Inc. ("OI Group"), a direct wholly owned subsidiary of OI Inc. and an indirect parent of OBGC, and the domestic subsidiaries of OI Group that are guarantors under OI Group's credit agreement. OBGC expects to use a portion of the net proceeds from the senior notes offering to fund the purchase of its 3.00% Exchangeable Senior Notes due 2015 (the "Exchangeable Senior Notes"), approximately $628.7 million aggregate principal amount outstanding as of October 30, 2014, pursuant to the cash tender offer by OI Group. The tender offer is being made pursuant to an Offer to Purchase dated November 3, 2014, and a Schedule TO, filed by OI Group with the Securities and Exchange Commission on November 3, 2014, which set forth the terms and conditions of the tender offer. Any net proceeds received from the senior notes offering not used to fund the tender offer will be used for general corporate purposes, which may include the temporary repayment of borrowings under OI Group's revolving credit facility pursuant to the credit agreement. This news release is for informational purposes only and shall not constitute an offer to sell or the solicitation of an offer to buy the senior notes or the guarantees, or an offer to purchase or the solicitation of an offer to sell the Exchangeable Senior Notes, nor shall there be any sale of the senior notes and the guarantees in any state or jurisdiction in which such offer, solicitation or sale would be unlawful prior to registration or qualification under the securities laws of any such state. This document contains "forward-looking statements," as defined by federal securities laws. Forward-looking statements reflect the Company's current expectations and projections about future events at the time, and thus involve uncertainty and risk. The words "believe," "expect," "anticipate," "will," "could," "would," "should," "may," "plan," "estimate," "intend," "predict," "potential," "continue," and the negatives of these words and other similar expressions generally identify forward looking statements. It is possible the Company's future financial performance may differ from expectations due to a variety of factors including, but not limited to the following: (1) foreign currency fluctuations relative to the U.S. dollar, specifically the Euro, Brazilian real and Australian dollar, (2) changes in capital availability or cost, including interest rate fluctuations and the ability of the Company to refinance debt at favorable terms, (3) the general political, economic and competitive conditions in markets and countries where the Company has its operations, including uncertainties related to economic and social conditions, disruptions in capital markets, disruptions in the supply chain, competitive pricing pressures, inflation or deflation, and changes in tax rates and laws, (4) consumer preferences for alternative forms of packaging, (5) cost and availability of raw materials, labor, energy and transportation, (6) the Company's ability to manage its cost structure, including its success in implementing restructuring plans and achieving cost savings, (7) consolidation among competitors and customers, (8) the Company's ability to acquire businesses and expand plants, integrate operations of acquired businesses and achieve expected synergies, (9) unanticipated expenditures with respect to environmental, safety and health laws, (10) the Company's ability to further develop its sales, marketing and product development capabilities, and (11) the timing and occurrence of events which are beyond the Company's control, including any expropriation of its operations, floods and other natural disasters, events related to its asbestos-related claims, and the other risk factors discussed in the Company's Annual Report on Form 10-K for the year ended December 31, 2013 and any subsequently filed Quarterly Report on Form 10-Q. It is not possible to foresee or identify all such factors. Any forward-looking statements in this document are based on certain assumptions and analyses made by the Company in light of its experience and perception of historical trends, current conditions, expected future developments, and other factors it believes are appropriate in the circumstances. Forward-looking statements are not a guarantee of future performance and actual results or developments may differ materially from expectations. The Company's forward-looking statements speak only as of the date made. While the Company continually reviews trends and uncertainties affecting the Company's results of operations and financial condition, the Company does not assume any obligation to update or supplement any particular forward looking statements contained in this document.